I took a week off! Did you miss me? Though my word count looks good, I’m actually behind. That image shows the added word count of two documents: Stuff I’m going to keep, and stuff I wrote but will probably throw out. The stuff I’m going to keep is sitting at 28034. That means I need to get 2K in today to be on point. Unfortunately, I caught a cold this past weekend and that’s tanked my productivity in the creative areas. Oh sure, work is happy I’m back, and I’ve been pounding out code like a beast. But this battle with the shadow monster is taking a bit of effort to think about. If I stick to the “plan” I made, then I have about six scenes left to write in this POV I’m working in. That should be enough to make my 50K. If you haven’t read Thanmir War or This World Bites, please consider picking up a copy while they are on sale for 99 cents. Thanmir War is an epic fantasy, and This World Bites is a humor fantasy novella (making it a quick read). 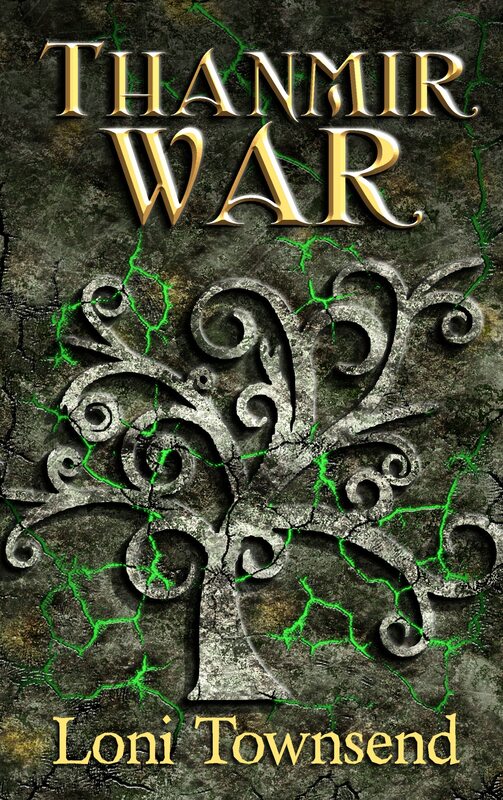 Thanmir War is book 1 in the Niniers series, and Isto is book 2. Then you can check out the other titles on sale for Milo Fowler’s #99centnovember event! “After you sliced Satch’s thigh open.” He glanced again at the cliff, and his stomach twisted tighter. This idea looked worse by the moment. Have you been productive in your writing lately? Where do you hide to get writing done? Have you found mice in your garage like I have? I’m glad to hear someone is staying productive. My output has tanked this month, I’m extra glad I didn’t sign up for NaNo. Kids sick, wife sick, there just hasn’t been a time to sit down and get anything done. I wrote all of 2000 words last week (usually I write that a day) and I was excited to have gotten at least that much in. You’re on the home stretch! Keep pumping out those words! 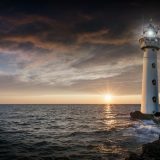 Keep going with NaNo – you can do it! Ugh. I hate it when I get a cold because I can’t write a single sentence until I’m better and well rested. I hope this cold doesn’t stick around and that you’re feeling better so you can reach your word count. Good luck! You can do it, Loni! Fight off that cold and any interfering children and make it happen. LOVE that little teaser from your NaNo. Hilarious! Colds sure can sink creativity. But keep on pumping out the words. There is no hiding for me. Most of the time I have a 3 year old in my face while I’m trying to write. Or work. Or do something that obviously is far more interesting than anything she was previously doing. Get better soon! Of course, you were missed. Sounds like you’re making good progress. I started my next book , then erased it and started over. Now I’m in ‘final produciton’ of my next book, and everything else has been shoved to the side. I hope you’re better soon. And that’s awesome progress! I’ve been having a good writing week too. The mice around here like to get into the wall behind my stove for some reason. We rarely get them. It’s the moles in the backyard that are the biggest pests. You are a trooper!! I can’t stand the cold. I’d have to try to write with the kids. Which is impossible, so I’d end up staring at the screen and nagging at people for some peace and quiet. You’re doing great considering everything – and I know what the weather has been like in Boise recently. Sense that you can do it – and you sound inspired. Go for it. I’ve got no reason not to be writing so ahead of target, on 43,823 words… and the plot is heading away frim the outline. I had to smile at your description of what you must do to get writing in. Hiding from the little beasties in the garage, lol! 😉 You’re doing amazing though, I would never have 20K+ words in this amount of time, ever. Hope your cold gets better! Colds can be very distracting and kill creativity, I had some severe cold or allergy symptoms last week and all I wanted to do was lie down and do nothing. When I really want to focus on my writing, I hide in my bedroom and lock the cats out. Lady, the fact that you have children AND mice AND a cold AND are still writing is a feat in itself. Be proud of all your awesomeness! The rest of us are 🙂 And of course we missed you! 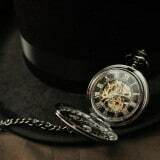 When are we going to see some more steam punk pics of you?! Or was that a one time thing? Sorry to hear about your cold. Hope it’s getting better. Congrats on your writing progress! Great excerpt! It made me laugh. I get the most writing done when my kids are in school. I downloaded a copy of Thanmir War. It’s on my TBR list. 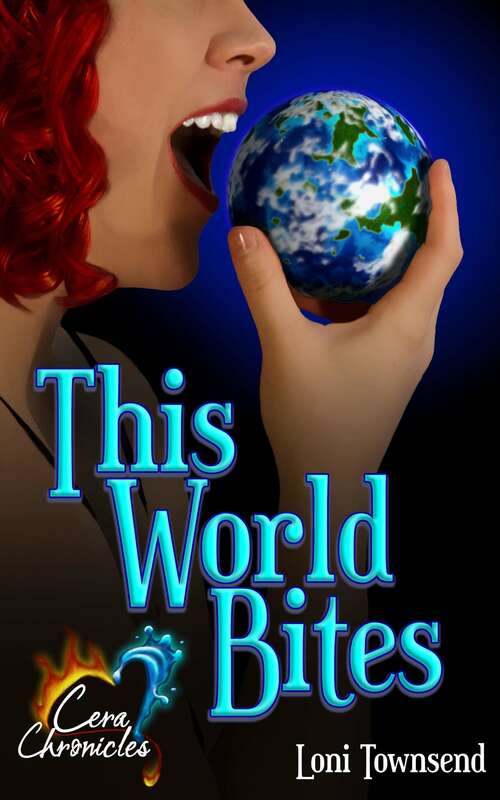 Someday I’ll get a review written of This World Bites. And I have mice in my shed. Good luck with NaNo! You can make it! One of the advantages of living alone is that I don’t have to hide away to find writing time – I can sit here at my monolith of a desk and no one will bother me, because no one else is around. ^_^ But even if you have to hide, it’s good to hear that the writing’s going well for you. Hope you make your 50K by the month’s end. As for me, my writing’s been going all right, or at least my plotting has; last night, I figured out the basic plots for two different projects, both things I’ve had tucked away for at least a year. Everything kind of hit me all at once for both of them. O_o Now I just need to figure out the actual stories and make everything work. Gah. Hope you are feeling better, Loni. Sounds like you are doing really well. Go Girl!! Just wanted to pop by to wish you a happy Thanksgiving. Hope you have lots of fun. Loni, I hope you’re feeling better. Sometimes we’ll do just about anything to find peace so we can write, even a chilly garage!!! Good Luck with Isto! !